When you’re in the mood for a jelly-filled confection, usually a doughnut will do the trick. 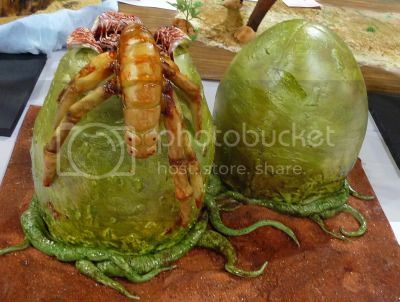 But if a doughnut won’t quite sate that craving, then–obviously–the next logical answer is a jelly-filled Alien facehugger cake, like this one from the That Takes the Cake sci-fi-themed cake show in Austin. 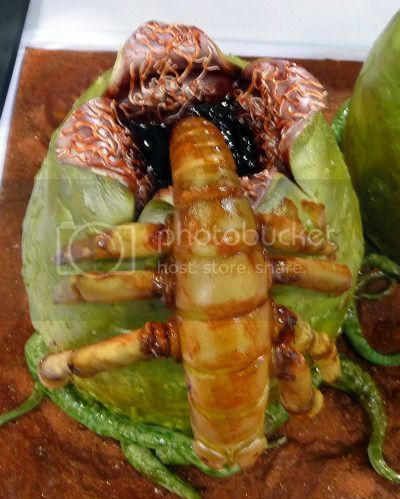 Hopefully you’re not too picky; ’cause after turning down a perfectly good doughnut, you don’t get to refuse a seven-legged facehugger cake. I don’t care how much you were looking forward to chomping on that eighth leg. 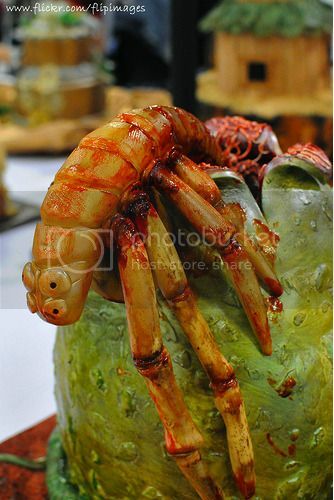 You know what you get after a facehugger cake gets stuck on your face for a couple of days, right? An Alien chestburster cake.